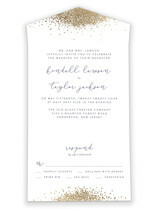 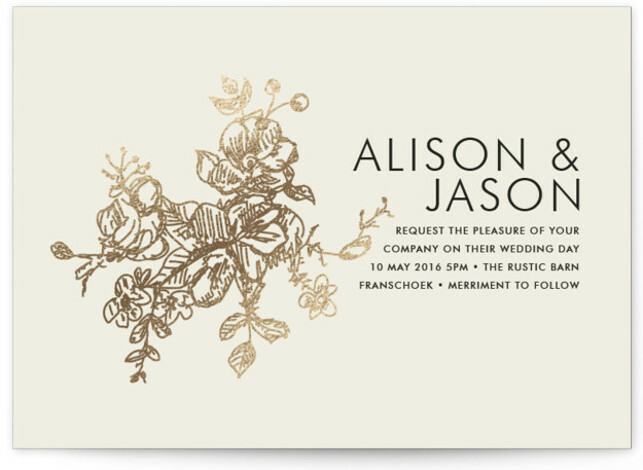 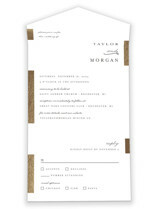 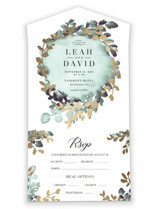 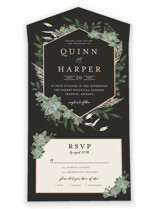 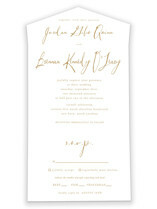 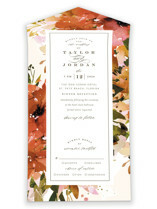 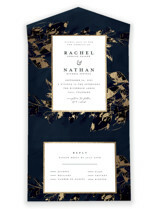 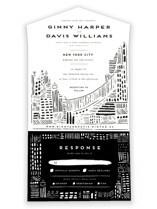 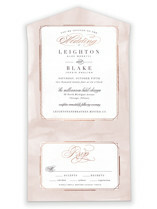 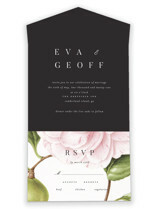 All-in-one wedding invitations are an exciting new “seal and send” option for budget-savvy couples. 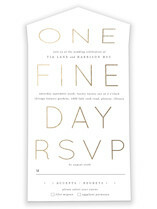 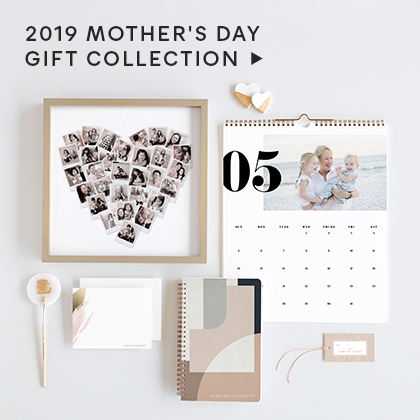 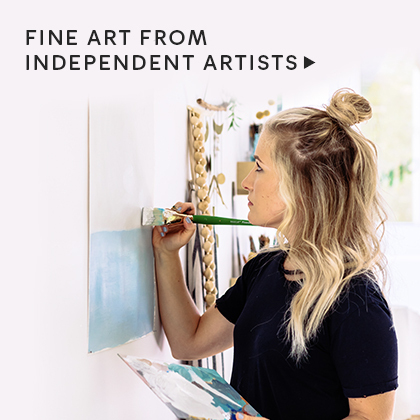 Combine convenience and value with Minted’s world-class quality and design with an All-in-one invite. 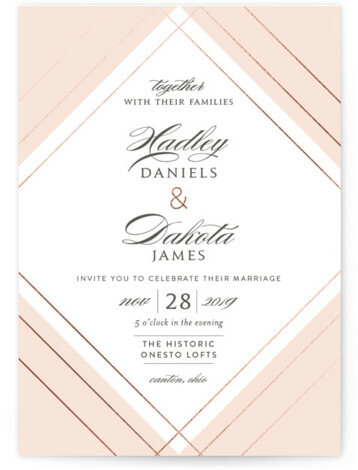 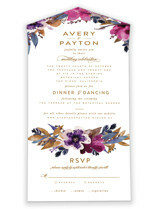 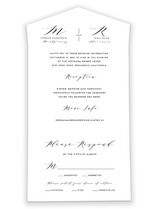 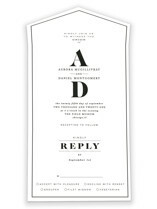 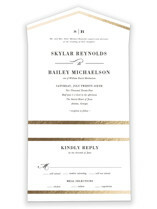 All-in-one invitations contain three panels that neatly fold into one ready-to-mail card. 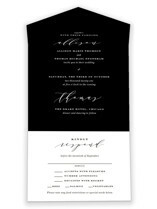 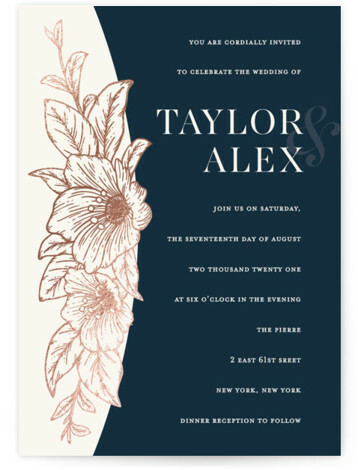 Your guests will receive a stunning wedding invitation that features a tear-off RSVP postcard to mail back with a postcard stamp. 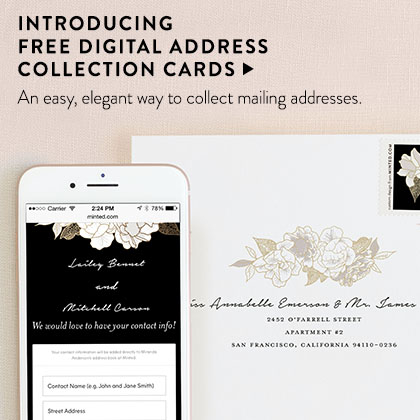 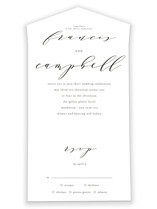 This savvy-chic design eliminates the need for full price stamps and additional envelopes. 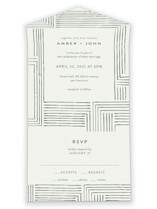 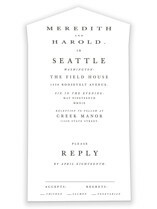 Simply fold, seal with 3 clear stickers (included) on the center and both sides of the flap, and send—no envelope required. 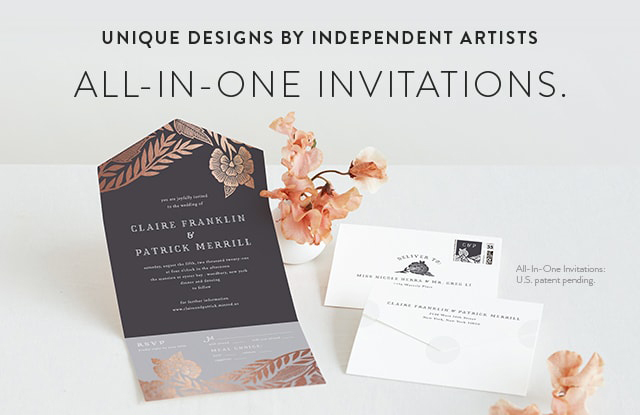 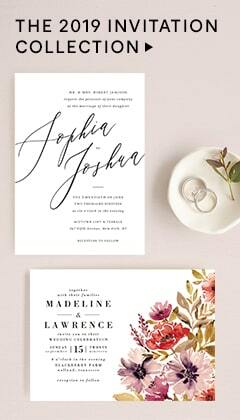 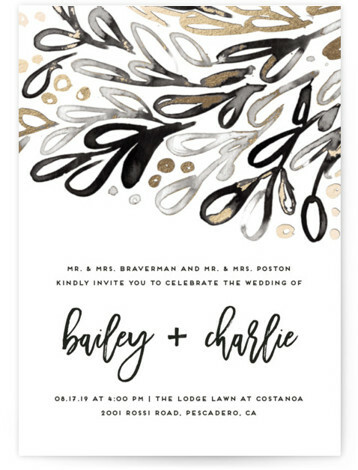 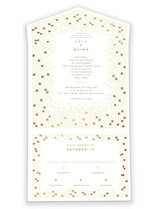 All-in-one invitations are a budget-friendly option that combines chic design at an affordable price.